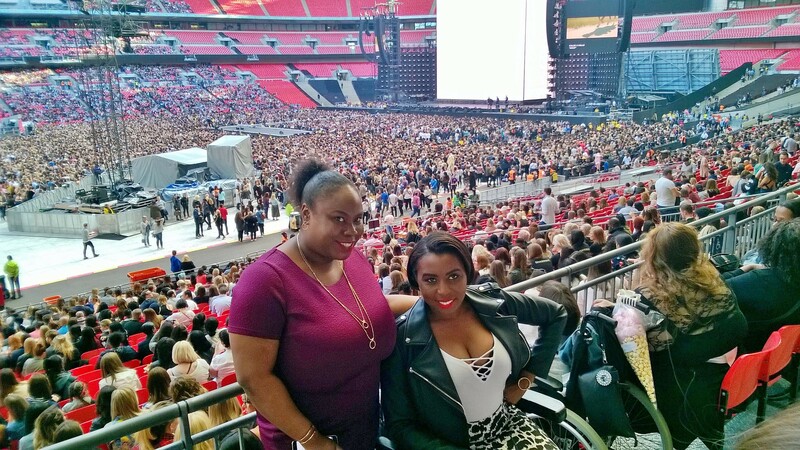 I had an amazing night at the Beyonce concert at Wembley Stadium, the Formation Tour had finally come to London. I had been to Wembley Stadium before but that was to watch a football game, this was my first concert at the Stadium. Beyonce with her all female live band and backing dancers rocked the Stadium. The performance included tracks from her latest album Lemonade, as well as her past hits including a few songs from her Destiny Child era and a tribute to the late great Prince. 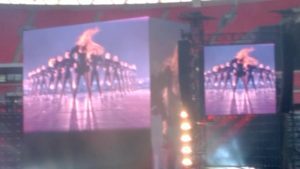 There was ticker-tape, pyrotechnics and towards the end of the show water was introduced where she and her troop danced barefoot. 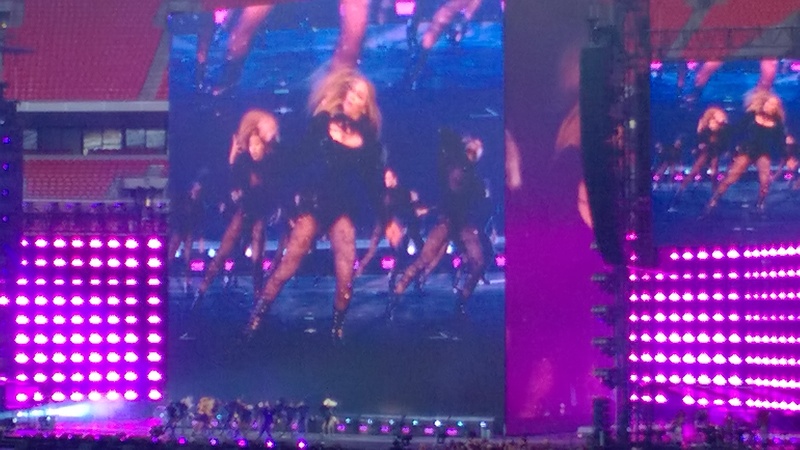 Beyonce slayed it, it is as simple as that. 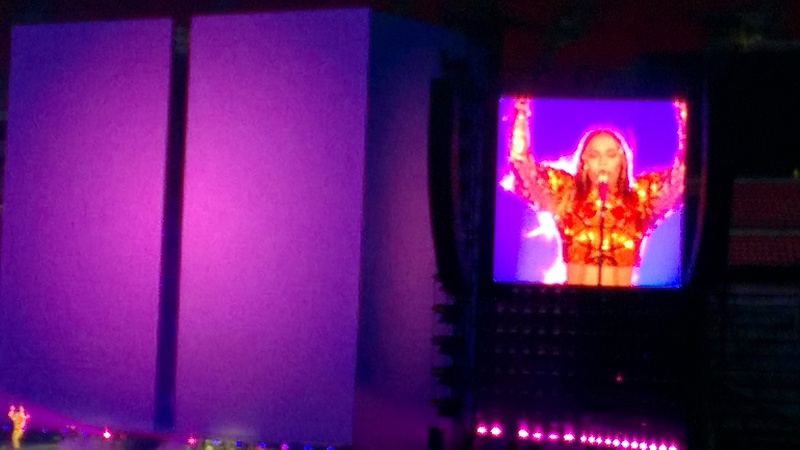 It is my second time I have seen Beyonce live, I previously saw her at the O2 in London. 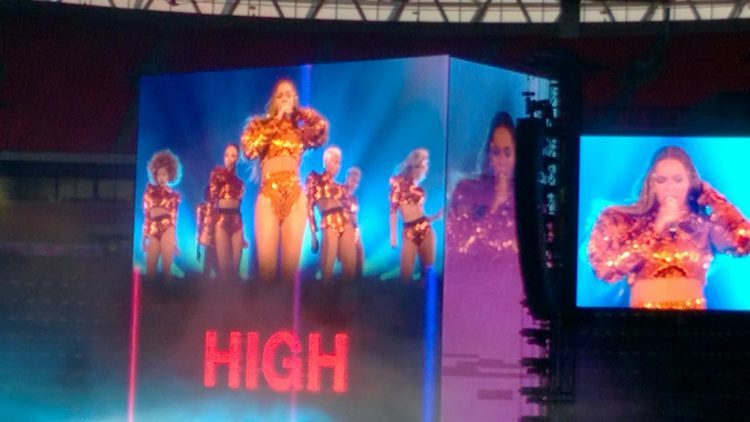 If you have never seen Beyonce live, and been impressed by her performances on the television, then I would highly recommend you go see her live next time she is near you, it is a thousand times better. Beyonce’s performances are amazing, she puts everything into her performance like her life depends on it. It is incredible! That would be one concert were you would say “That was money well spent”. 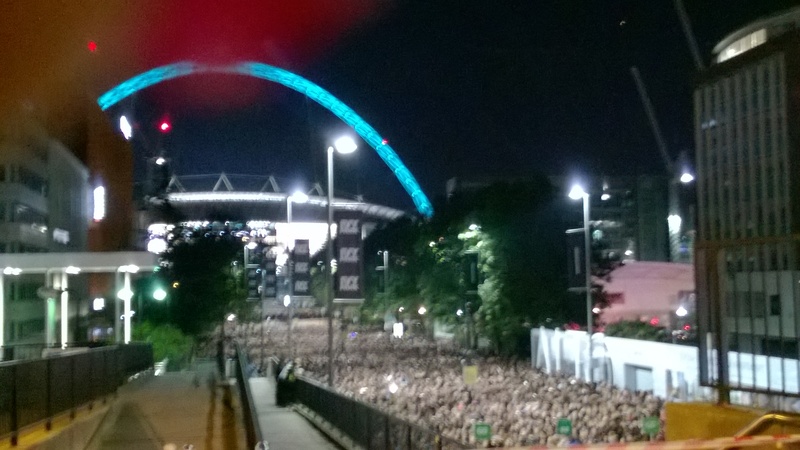 Unlike the previous time I went to Wembley Stadium the staff were a lot better. They were helpful polite, but some of the stewards could have been better… When leaving they were happy to direct us into a hoard of people just to get us out the building, rather than looking for options suitable for a wheelchair user. My sister, who I went with, twice had to come up with a suitable alternative plan to the unsuitable advice given by the stewards – I think they need better training. Other than this Wembley Stadium has lots of disabled facilities and there was a member of staff on hand to make sure only the disabled used them. If you plan to get a meal at the designer outlet before an event at the Stadium, be prepared to wait in a queue for around 3 hours. We arrived at 5pm and there were no tables available in any of the restaurants until after 8pm, which was the time Beyonce was due on stage, so we went without food. We had a great night and I would definitely see Beyonce again.